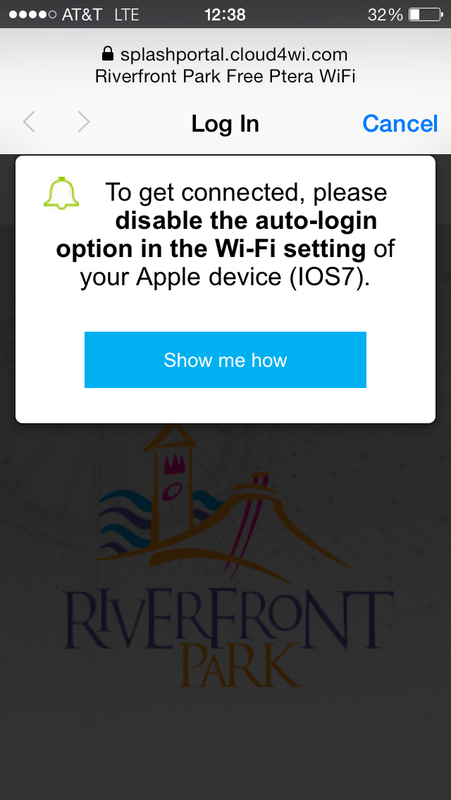 Offering 45 free minutes daily, Riverfront Park's new, outdoor wireless Internet service is worth figuring out how to set up. 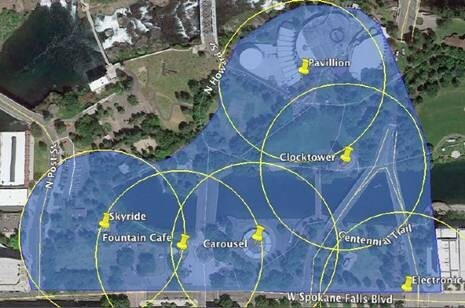 The park launched the new Wi-Fi services, provided by Spokane-based Ptera wireless, in time for last weekend's Hoopfest activities. The initial coverage area stretches in a triangle shape from City Hall east to the corner of the INB Performing Arts Center, and then up to the Pavilion. After I had gone through the registration process, I was able to walk around the park and even across Spokane Falls Boulevard before losing my connection. Before you can enjoy the new hot spot though, you'll have to go through a little bit of a process. Here's our step-by-step instructions on how to get logged in. 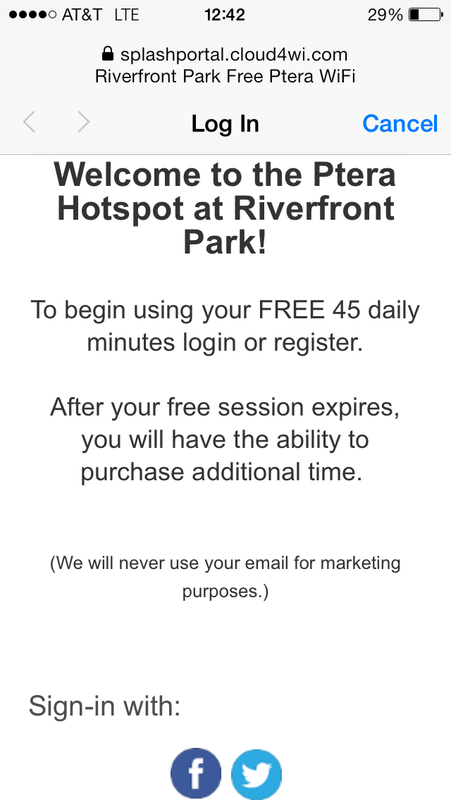 Once "Riverfront Park Free Ptera Wifi" has been selected from your list of Wi-Fi options, the login screen should pop up. Scroll down to register through your Facebook, Twitter or email. Once you get to the next screen, you can click "done" in the upper right corner and begin enjoying your 45 minutes of free Wi-Fi. Additional time is available to purchase. We were even able to stream videos via the connection with no problem.